Some of the very best Fourth of July celebrations are worth traveling for. Here are five of the best places to celebrate Fourth of July. Fourth of July, or Independence Day, is a national holiday that commemorates the adoption of the Declaration of Independence on July 4, 1776. It's celebrated in cities and towns throughout the United States with barbecues, picnics, parades, concerts, and explosive fireworks displays. 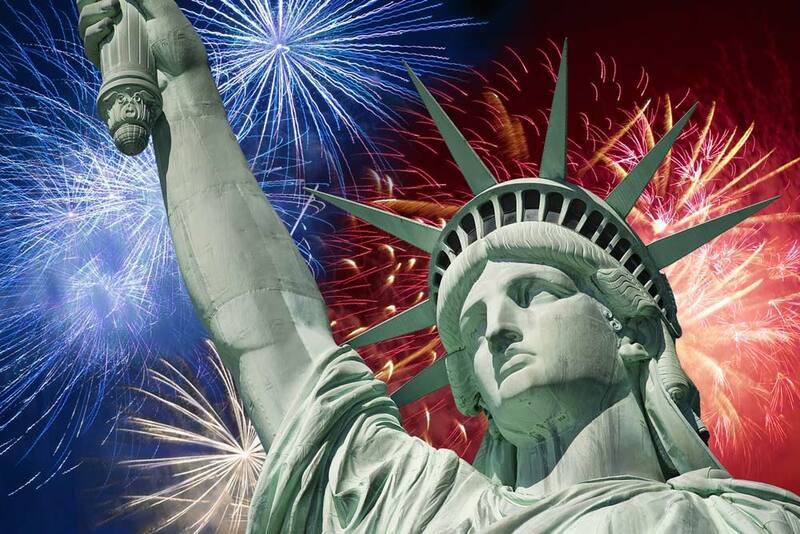 Some of the very best Fourth of July celebrations are worth traveling for. Here are five of the best places to celebrate Fourth of July. There's no better place to spend Fourth of July than in the city known as America's Birthplace. 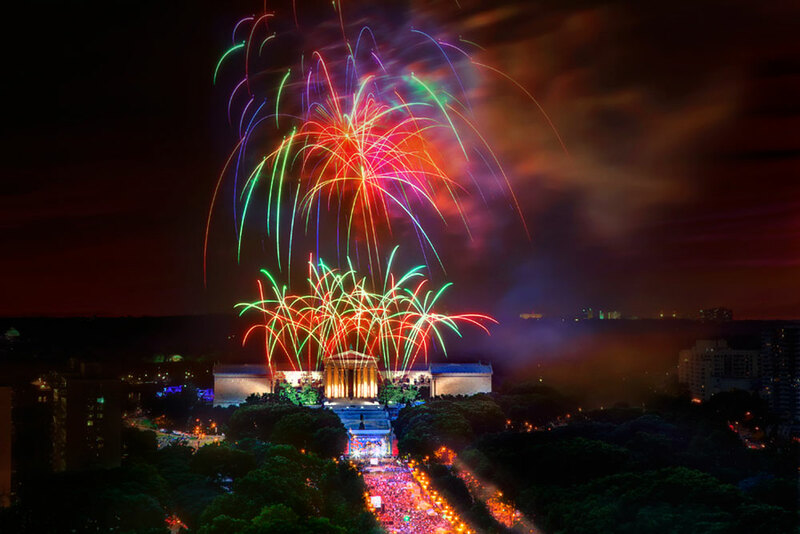 The Fourth of July celebrations in Philadelphia are some of the best in the country, with a free concert and a spectacular fireworks display at the Philadelphia Museum of Art. You can also visit historic Old City Philadelphia, which is home to attractions such as Independence Hall, the National Constitution Center, the Betsy Ross House, and Elfreth's Alley, the oldest continually inhabited street in the country. 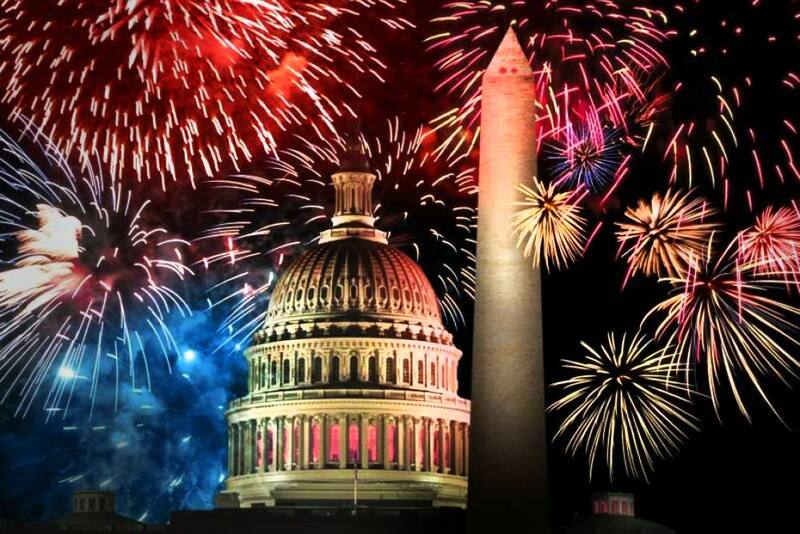 The nation's capital, Washington DC, is another great place to celebrate Fourth of July. The festivities kick off early in the day with the National Independence Day Parade that travels along Constitution Avenue from 7th to 17th Street and attracts hundreds of thousands of spectators. Afterwards, you’ll have time to tour some of the city's important monuments, such as the Washington Monument, the Lincoln Memorial, and the Jefferson Memorial, before heading to the National Mall to see the fireworks display. On any given day you'll find lots of things to do in New York City, and the Fourth of July is no exception. 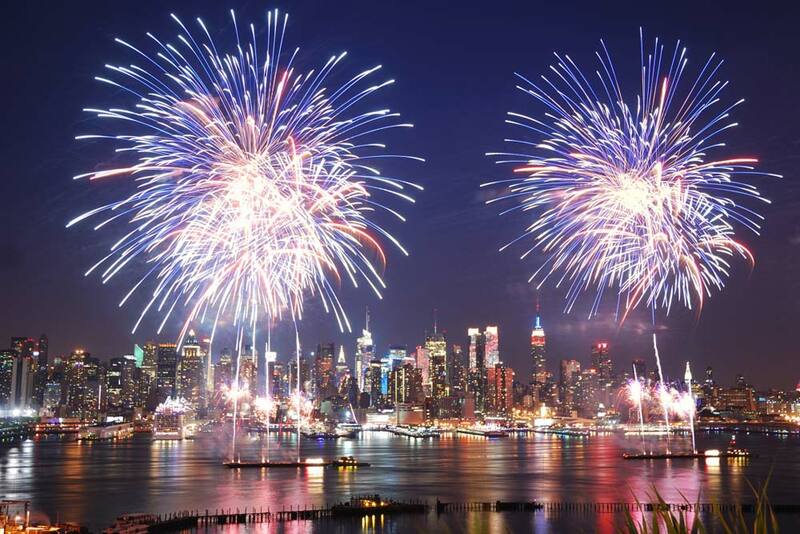 The city hosts the largest Fourth of July fireworks display in the country, with fireworks being launched from the Brooklyn Bridge and other points along the East River. You can also enjoy a variety of city sightseeing tours and cruises along the Hudson River, or head to Coney Island to watch the annual Fourth of July hot dog eating contest, ride the roller coasters, and see even more fireworks. Poolside parties, nightclub events featuring some of the world’s best DJs, incredible live entertainment, and spectacular fireworks displays are just some of ways to celebrate Fourth of July in Las Vegas. 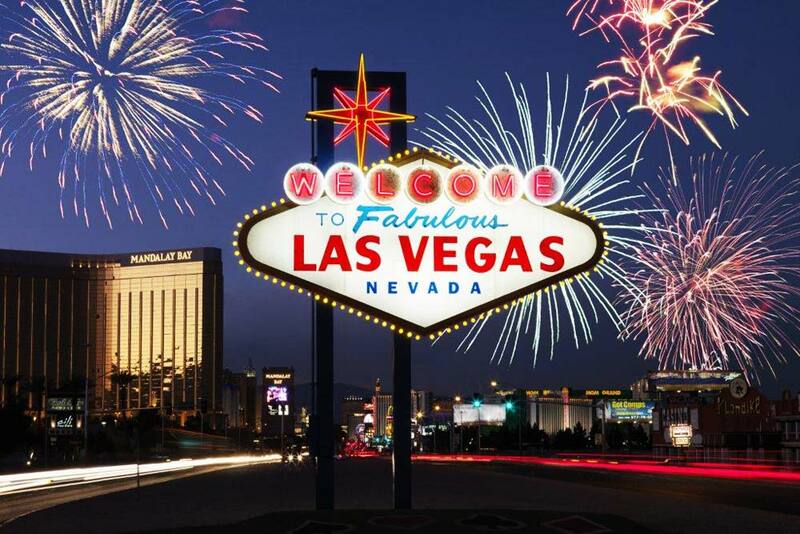 Each year, the Strip is illuminated with fireworks shows and some of the best places to see fireworks in Las Vegas include Caesars Palace, the Stratosphere Tower, and Mandalay Bay. The downtown area also hosts several community events, block parties, and a summer concert series with live bands performing along Fremont Street. 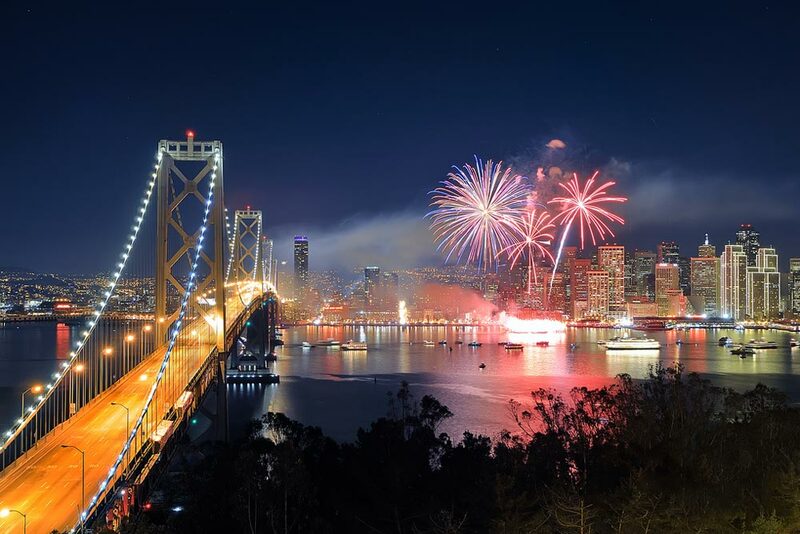 If you're planning to spend Fourth of July on the west coast, San Francisco is a great destination. The city hosts a Fourth of July celebration at Pier 39 which includes a beautiful fireworks display over the bay at Fisherman's Wharf. Some of the best views can be had aboard one of San Francisco’s popular Fourth of July Fireworks Cruises. Fourth of July is also a great time to visit some of the popular attractions in San Francisco.